Diptyque Noisetier Perfume by Diptyque, Quiet woodlands have an air of mystery and unmistakable smell of green, spice and a hint of smoke . 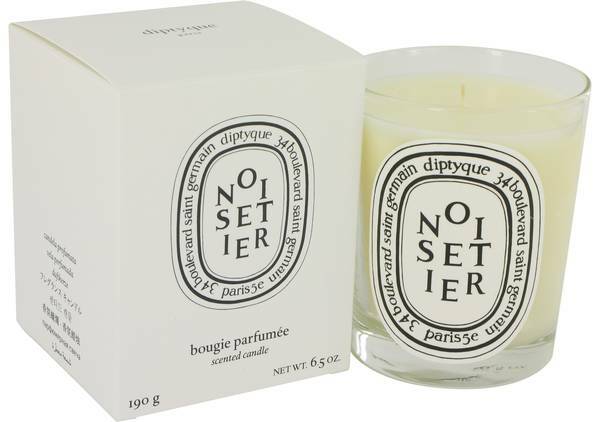 A Diptyque Noisetier scented candle by Diptyque captures the essence of this liveliness. It tricks the senses into imagining pleasantly walking through nature and being comforted by all that Mother Nature has to offer. This scent has notes of hazelnut, cedar wood, clove, patchouli and vetiver. These uniquely meld to create a long-lasting and inviting Read More Read More experience that brings the outdoors inside. More than 50 years ago, three creative friends opened a stylish little shop in Paris that eventually transformed into a world-renown producer of exquisite scented candles, perfumes, colognes and beauty products. Since 1961, the company has been a fixture in the world of style, fashion and luxury. 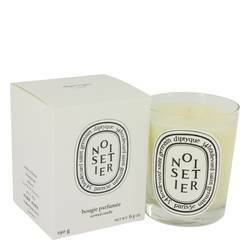 It created its first scented candle in 1963 and entered the world of perfume in 1968. The company continues to be a leading international perfume and creator of unique gift items. All products are original, authentic name brands. We do not sell knockoffs or imitations.